Conflicting theories and mixed empirical results exist on the relationship between ethnic diversity and trust. This article argues that these mixed empirical results might be driven by contextual conditions. We conjecture that political competition could strengthen ethnic saliency and, in turn, salient ethnic identities can activate or intensify in-group trust and depress trust in members of other ethnic groups. We test this conjecture using the move towards secession in Catalonia, Spain. 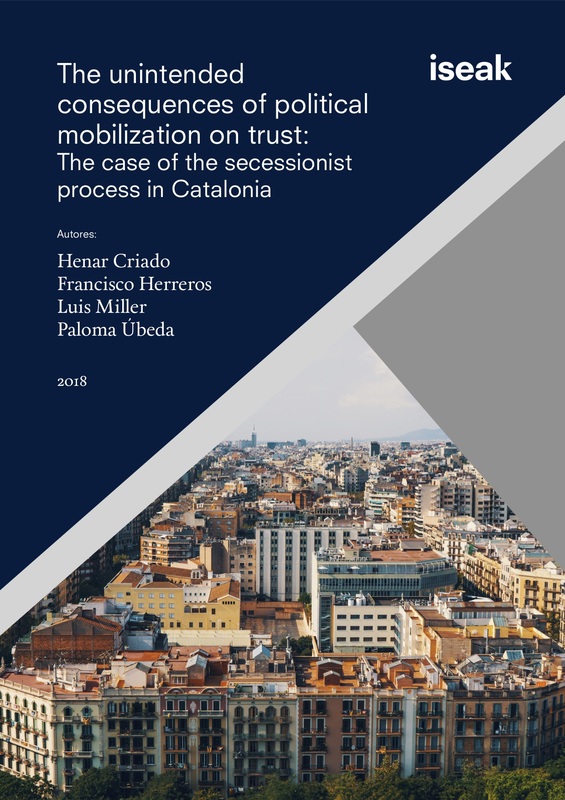 We conduct trust experiments across ethnic lines in Catalonia before and during the secessionist process. After three years of pro-independence mobilization in Catalonia, one of the ethnic groups, Spanish-speakers living in Catalonia, has indeed increased its in-group trust. This result is robust after a set of individual-level variables are controlled for, but no equivalent result is found in a comparable region, the Basque Country.